June 5, 2015 June 5, 2015 ~ David J. A little-known but bloody episode on the New Jersey side of the Hudson River enraged and united the rival Native American tribes throughout New Netherland against the Dutch colonists and their corporate governorship. This war nearly ended the Dutch East India Company’s colonial experiment in North America. Today, historians call this event Kieft’s War. In 1642, tribal warfare drove members of the Tappan and Wecquaesgeek tribes to seek protection in Dutch settlements. The two tribes built camps in Communipaw village, a Dutch community and part of the Pavonia colony stretching from the Hudson shoreline to Bergen Hill. Today such groups would be considered refugees. Willem Kieft (Courtesy of the New Netherland Institute). 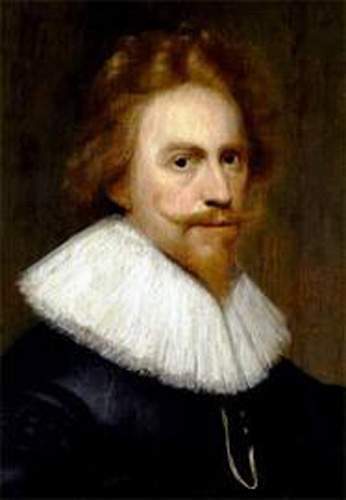 Governor Willem Kieft grew nervous at the influx of Native Americans in New Amsterdam and Pavonia and began to suspect that these refugees were the vanguard of a much larger Native American uprising or assault. Knowing that the Dutch East Indian Company and its European settlers could never match the Native Americans in arms or men, Kieft decided to launch a preemptive attack. (From History of the City of New York from Its Earliest Settlement to the Present Time by Mary L. Booth, 1859 (Courtesy of the New York Public Library)). 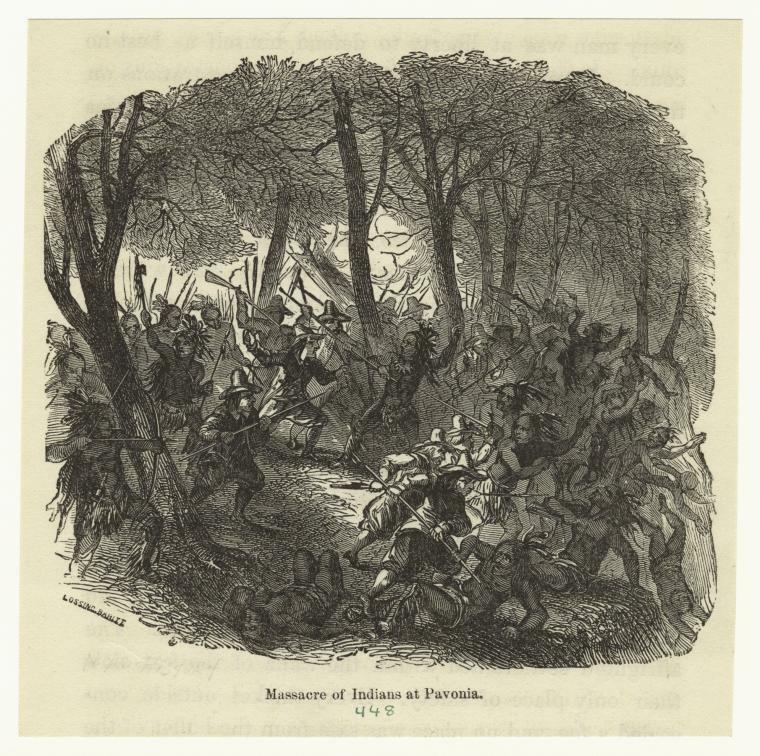 The returning soldiers bragged of their exploits, taking special delight in detailing the killing of their sleeping “enemies.” Between eighty and one hundred Native Americans died at the hands of the Dutch at the Pavonia Massacre. This nocturnal assault on the left bank of the Hudson River would unite the squabbling tribes of New Jersey, the Hudson River, and Long Island against the Dutch settlers. Thanks to Walter Giersbach at Military History Online and Russel Shorto for the gory details.